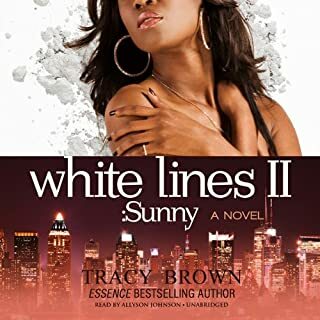 The ultimate love story began in White Lines, and now, in this stunning conclusion, Jada and Born come full circle - but not without paying a hefty price. On the surface, Jada's life is back on track - she's battled her demons, her son is a permanent part of her life - but it still feels like she's on shaky ground. What she really needs to settle her soul is to have Born back in her life - and in her arms - again. But reuniting with the man she loves is proving to be the hardest thing she's ever fought for. On the surface, it appears that Sunny has got it all: looks, money, a beautiful home, a healthy daughter, and friends who love her. But Sunny has a secret—something she hasn’t even told her best friend. The truth is Sunny is unhappy. She still misses her beloved Dorian and worries that no other man will ever captivate her the way he did. She’s dated some very powerful and successful men since Dorian’s death, but will she ever find love again? It's about to be an all-out war. 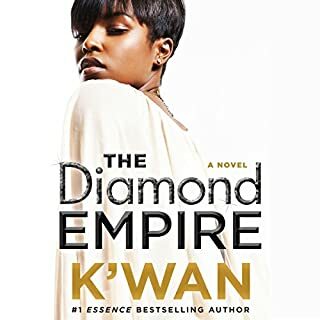 While an ambitious rival has taken over Diamonds' crew, Diamonds lies in wait in exile, carefully planning his next move to come back and reclaim his position as king of the streets of New York for good. 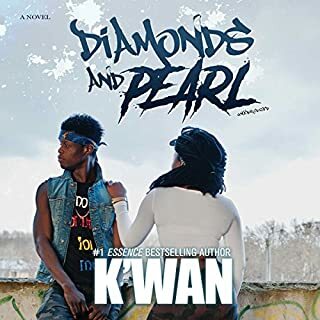 But when an unexpected enemy from the past one-ups Diamonds and beats him at his own game, Diamonds needs to dig deep into his bag of tricks - and make an unlikely alliance - in order to climb back to the top. Lamin Michaels learned at his mother's knee the importance of chasing paper, so it's no surprise he gets into the drug game when he's just a teenager. 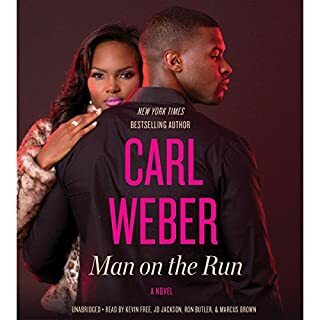 When he meets Zion, a product of the New York City foster care and prison systems, Lamin knows he's met the perfect partner in crime. 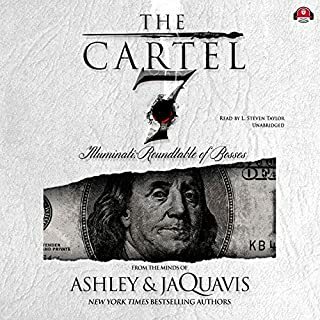 Together they build a huge narcotics empire. Momma drama takes over the Duncan clan, as there is still uncertainty about who has fathered the Duncan sisters' new babies. Meanwhile, Orlando Duncan, the family's new CEO and a man with his own baby momma problems, has just developed a new product that may make the millionaire Duncans into billionaires. Orlando only has one obstacle in front of him, and it's not law enforcement or one of his family's many rivals. It's his mother, because she's making the family take sides. Can a civil war within the Duncan family be averted before it tears them apart? Rio Duncan is one of the youngest children of the Duncan clan. 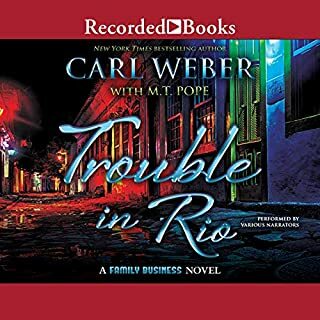 With no solid position in the family business like his other siblings, he has been feeling out of place and decides to disappear. Rio leaves his Duncan identity behind and goes on a search for friends and family who can relate to him. His destination is Baltimore, and he is sure to find what he is looking for in the city with a community like no other. The year is 1978. 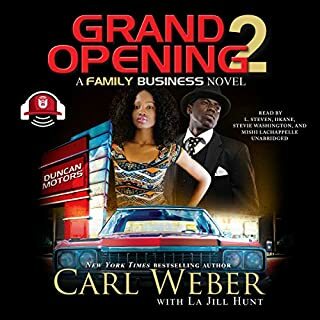 The Duncan brothers and their tough-as-nails women have vanquished their rivals and taken their place as the leaders of Waycross, Georgia's criminal enterprises. 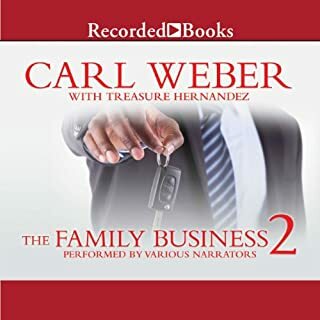 However, their rise to power has not gone unnoticed, and the family is rocked when their mother, Miss Bettie, is kidnapped and her body is found in a swamp. 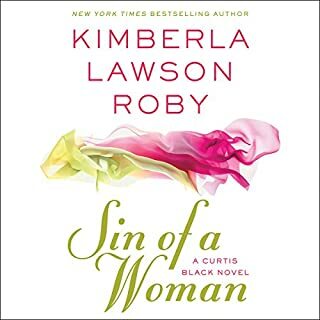 No one knows who the killers are, but instead of drawing closer, the family is split when their grief-stricken leader, LC, is offered membership in the South's most powerful black organization, the Council. Crystal Scott has the world at her fingertips. Both at the height of her career at a wildly popular magazine and on the rise in an enviable social circle, she's beginning to think that maybe she can have it all. But her entire life, body, and soul are threatened when Troy Mitchell steps on the scene. 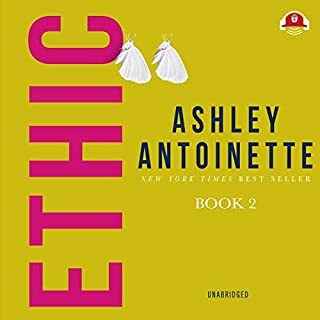 Crystal has never felt the insatiable passion she feels for Troy - and it was certainly not part of her plan. Troy pursues her full throttle, making it impossible for her to resist. Crystal can't help but fall for the handsome, powerful, enigmatic man. But the families of both lovers will not stand for their love, and a raging inferno of bitterness and revenge threatens to consume them both as tensions ignite. With deadly twists and turns, Crystal and Troy must choose each other and give in to love, or they will not escape the ties that bind them. 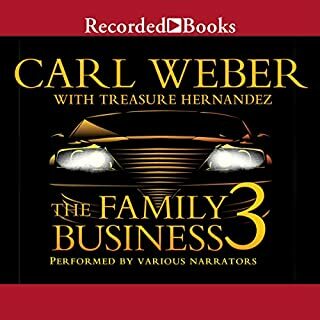 The book was extremely slow at the beginning and I couldn’t get past chapter 3 and the narrator’s voice. I deleted it. I really thought they would be together somehow... I hope there is a happier ending in the future. 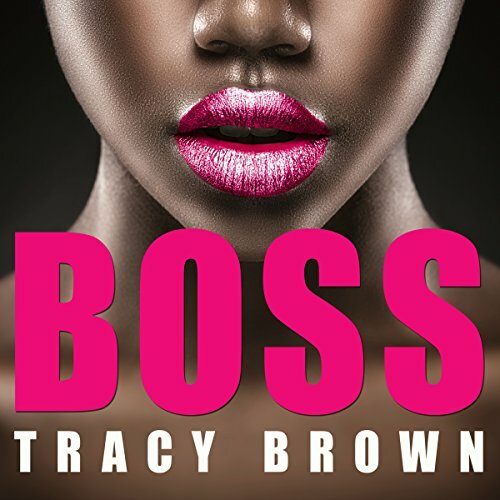 Would you try another book from Tracy Brown and/or Cami Darian? I am disappointed in the narrator of this book. 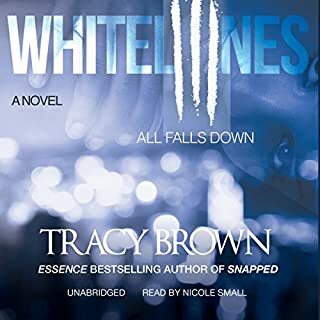 Just completing Tracy Brown's White Lines series and the narrators were excellent, I find this reader voice flat and it appears she runs through the paragraphs. I can't enjoy the story due to her reading. 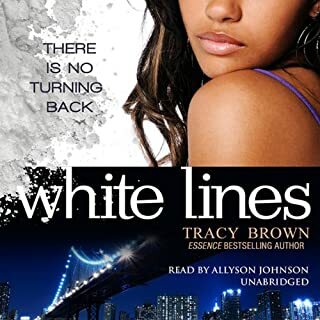 What was most disappointing about Tracy Brown’s story? What didn’t you like about Cami Darian’s performance? Unfortunately, I didn't finish it. I ended after chapter 3 I believe. 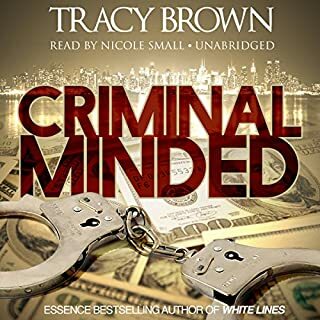 I will certainly choose another of Tracy Brown's book, but will first play the sample to see if I can tolerate the narrator. The story was good. Love Tracy work. The narrator sounded mechanical. Alexa could have done a better job. 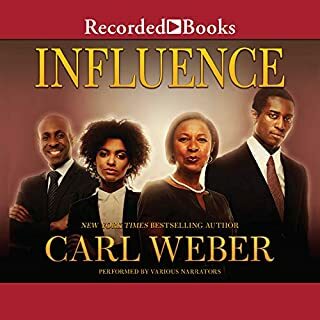 This book has a good storyline and plot however, the flow was shallow. To go through that much effort to get revenge and not allow completion. Waste of a character. This was a good book and i enjoyed reading it. I found this book good and different. It has me thinking about who u can and can not trust. This book taught good. I fell in love with this book. It had a lot of twists and mind blowing action! 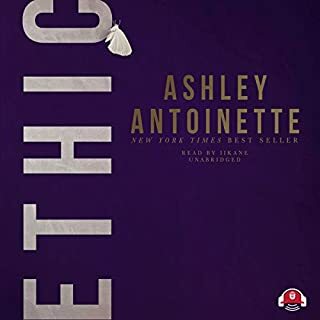 The narration was robotic and the story was too repetitive. I wouldn't waste a credit on this. loved the story, there has to be a sequel!! !